Today I have for you another awesome Glitter Gal 3D Holographic polish which is the last of the Glitter Gal polishes I hauled last year. I can't believe it took me so long to try out considering I LOVE purple! Purple is another polish from Glitter Gal's 3D Holographic range. It's a wonderful glitter packed dark purple holographic that comes into it's own when it hits the sun. Purple + holo = WINNING in my book! Haha. In real life the colour is somewhat darker than what is shown in my pictures but it appears lighter in the sun. Application was OK - the formula was a tiny bit thick but still easy to apply! I didn't get any balding or streaks even though I used basecoat. It applied smoothly and was opaque in 2 coats which is pictured, no topcoat needed for a glossy finish! The brush in my bottle is one of the older ones so it's a little smaller and more difficult to use than the brush of Marine Blue. 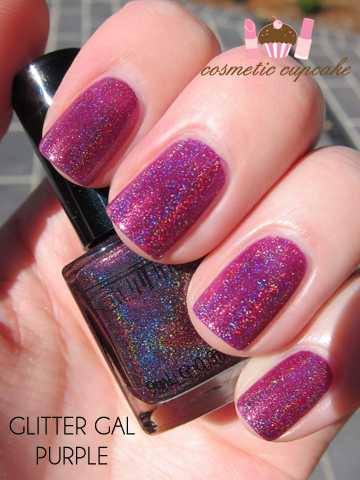 Glitter Gal 3D holographic nail polishes can be purchased from their online store or selected stockists for $11.95. They also ship internationally so my international readers don't miss out! What do you think of Glitter Gal 3D holographic Purple? Do you have a favourite purple holo? this is one is amazing again! love all these holos so much! Wow, that is truly mesmerizing! purple holo has got to be the best polish ever! I love this purple holographic polish. This color has got to be the most stunning purple I have ever seen. Wow! 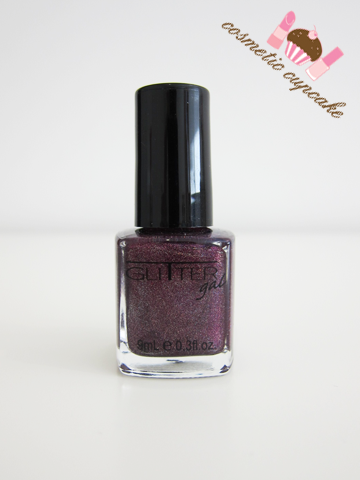 So jealous that you have Glitter Gal polishes! Mani looks awesome! I've looked at this colour online before and didn't expect it to be so light! 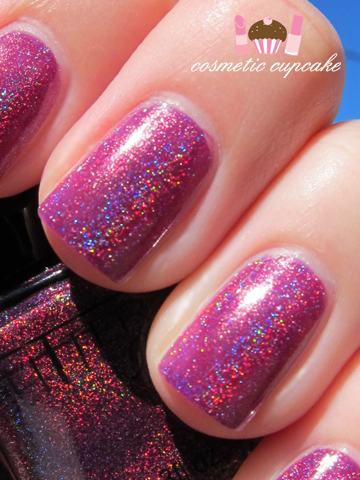 It looks seriously pretty though :) Gotta love holos! Ooh. This sparkly purple is lush! all that i have to say is.. OMG! this polish looks soooo good :) Love it! Very very beautiful holographic nail polish. @Adeline: I think all the Glitter Gal polishes are gorgeous! Plus I just love purple hehe. @AmyGrace: It is isn't it? Holos are just amazing! @Elly: Glad you love it hun! @Toyomi: I'm so happy to hear it takes your fancy Toyomi. It is every bit as pretty in real life - do get it if you can! @Sarah B: They are wonderful little lacquers Sarah! @MariaAndrea van der wall arneman: Thanks Maria. @Alex: I was surprised too at how light it looks in the sun also. It's somewhat darker and closer to the bottle colour in the shade. @Johnna: Purple polishes are one of my favourites so I agree with you totally! I wish I could add holo to everything haha. @Amy: Hehe glad you think so Amy! @Katrina: LOL! Gosh I love your reaction Katrina haha. GG holos really come into their own when they hit sunlight. I need to re-swatch my other holos! @Tess: Glitter Gal holos aren't over the top unless you go into the sun lol. I find they are quite subtle in artificial light. I do recommend trying them! @tansumut: Thanks tansumat =) It's a wonderful purple holo polish!